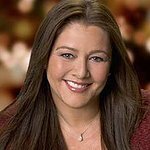 Camryn Manheim is best known for her roles as attorney Ellenor Frutt on ABC’s The Practice and Delia Banks on CBS’s Ghost Whisperer. She is also known for her charity work and is a human rights activist for women’s rights, gay rights and many other issues. Google trends for "Camryn Manheim"